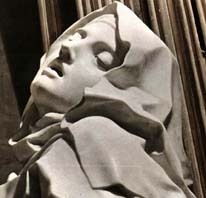 Teresa de Jesus, more popularly known as Teresa of Avila, lived in a time of turmoil and religious reform. She was a nun in Catholic Spain during the immediate aftermath of the Protestant Reformation, when Spain saw itself as the most secure bastion of traditional Catholic faith and practice. She was a strong and inspired leader, in a time and place when women were relegated to more passive roles. And she was a deep mystic, who was said to sometimes levitate off the ground, with her face illuminated. Teresa entered the Carmelite order of nuns against the wishes of her father. She formed and headed the "discalced" movement within the Carmelite order, a movement that advocated simplicity, humility, and the spiritual life over the increasingly worldly and sometimes corrupt practices that dominated many other communities of monks and nuns. Through the Discalced Carmelite movement, she founded several monasteries. These activities led her into a world of politics, legal battles, letter campaigns, and long periods of exhausting travel. Like Francis of Assisi, Teresa also suffered from a series of debilitating illnesses and injuries, often made even worse by the treatments of the time. Later in life, for example, she fell down a flight of stairs and broke her arm. It was poorly set and limited her movement. Someone had to re-break her arm in order to reset it, but an even worse job was done, leaving her essentially crippled and needing aid for such simple things as dressing herself. Obedience was one of the virtues Teresa particularly extolled. Politically, this was significant at a time when the Catholic world was being challenged by the Protestant reformation, and when many mystical movements within the Catholic church narrowly escaped the label of heresy. Yet obedience, for her and for monastics throughout the centuries, has the spiritual value of freeing the individual from self-will and the trap of ego. In other words, when practiced with intelligent caution, obedience can be understood as a technique that opens the heart and the awareness. Despite her physical sufferings and the challenges of her foundational work within the Catholic church, she remained supremely dedicated to the mystical life. She shared a close spiritual connection with John of the Cross, her younger contemporary, and was in many ways a mentor to that great poet and mystic. Teresa of Avila wrote poetry, many letters, histories of her work in establishing monastic foundations, but it is her book on the path of prayer, The Way of Perfection, and her spiritual autobiography, The Interior Castle, that are most widely read and considered her masterpieces. On Those Words "I am for My Beloved"
The Way of Perfection and other works by Teresa of Avila in PDF format. Some links to articles about her, as well. A good, relatively spiritual biography. 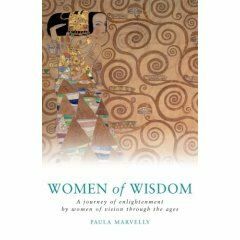 A good introduction to the live and works of Teresa of Avila. Somewhat longer biography of St. Teresa of Avila.